A collection of holiday songs from one of country’s best artists. This is one of my favorite times of the year. The weather is turning, which I do enjoy. The snow here in Wisconsin is not all fun and games, but I guess over the years I’ve mostly been in favor of snow. It certainly can be something to wake up in the morning and see a fresh blanket on the ground. I usually grab a cup of coffee before heading out to shovel. For me, snow marks the beginning of the Christmas season. It’s early this year in Wisconsin, which is okay with me because that means it’s time to get some early country Christmas music. 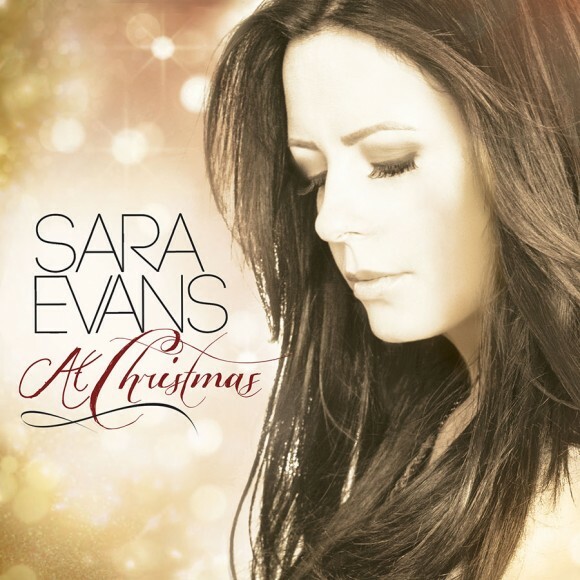 One of the big new albums out this season is At Christmas by Sara Evans. Sara has one of the best voices in all of country music. I think she’s one of the best of all time and fans now have a collection of her holiday favorites. I’ll take you through track-by-track for my feelings on each of the songs. This is a fun song and I don’t think it’s one you hear as much anymore on holiday records. I’m glad Sara recorded it because she did a great job and had some fun with it. I think this one is a brand new Christmas song. It’s uptempo and fun. It makes you feel like you’re ready to get up and go for the holiday season. This is one of my all time favorites. There is something uplifting about feeling like you can proclaim something from the top of a mountain. I don’t know why I like this one so much. It’s always done with a somber tone, but I’ve always loved it. At this point Sara is on a roll because she’s picking a lot of favorites and this is another home run. I remember hearing this one sung every year in church. Those are the memories it brings for me. This song is all about imagery for me. The song is pretty simple and you can kind of fill in your own story. I always picture kids getting ready for bed as they dream about Santa and the presents awaiting them after the night ends. It’s always fun to include this one on a holiday album especially with the busy lives we live today. It’s weird how this song can make you think of quiet nights when the street is covered in snow. There is something about snow that makes things seem quieter. That’s what I think about when I hear this song. A great song to end on. Sara does a great job on all the songs. She sounds as good as ever and it will be a good Christmas for you if you turn on these holiday songs this season.